Cutting costs and increasing efficiencies across the entire spectrum of your vehicle life cycle is the key to minimizing the total cost of your fleet. The “Total Cost of Ownership” (TCO) strategy takes into account all of these costs related to the entire lifespan of an organization’s vehicles – from funding and acquisition, to maintenance, fuel, risk management, and eventually disposal – to help you take a more proactive and cost effective approach to your total fleet management. The goal here is to maximize current assets while minimizing expenses. A transportation expert such as Transportation Services Company can show you how to make smart budget and operational decisions based on fleet telematics and other Key Performance Indicator (KPI) data, and address many of a transportation operation’s issues with an established replacement strategy and creative financing options. 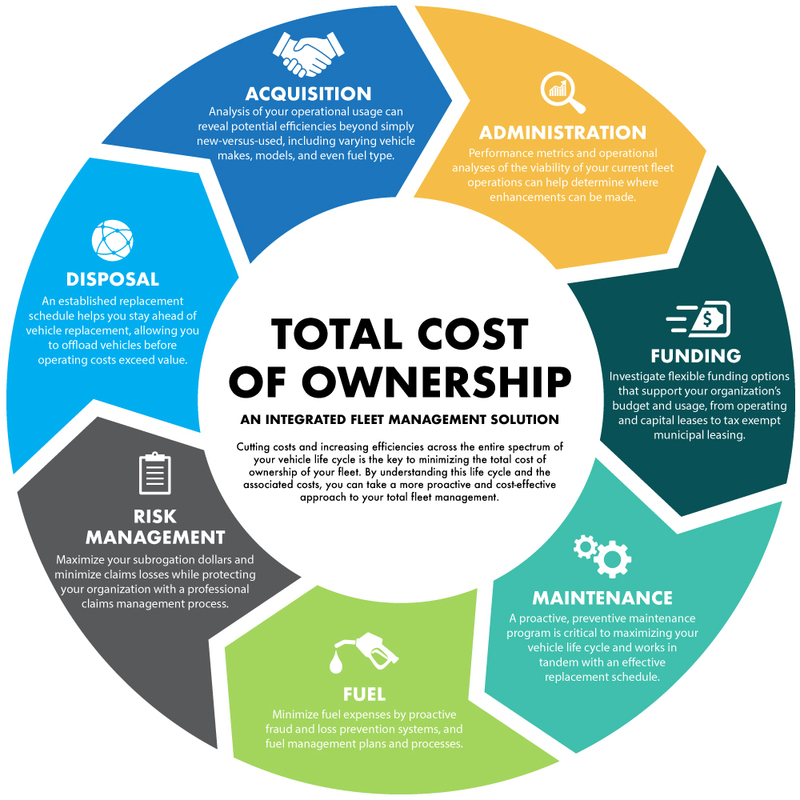 To help kick off our new Total Cost of Ownership blog series, we have developed a new infographic to help customers better understand the logic and benefits behind this new way of thinking, and to illustrate the interrelated components of this data-driven, full-circle approach to smart fleet management. With the right tools and guidance, fleet management does not have to take away from the priority of delivering quality service and products to your customers.